For audiophiles, wherever they go, their music follows. While several custom-built car audio systems manage to belt out decent output for music on-the-go, a dedicated sub-woofer set for precision sound is something any music lover wish to have his or her car loaded with. 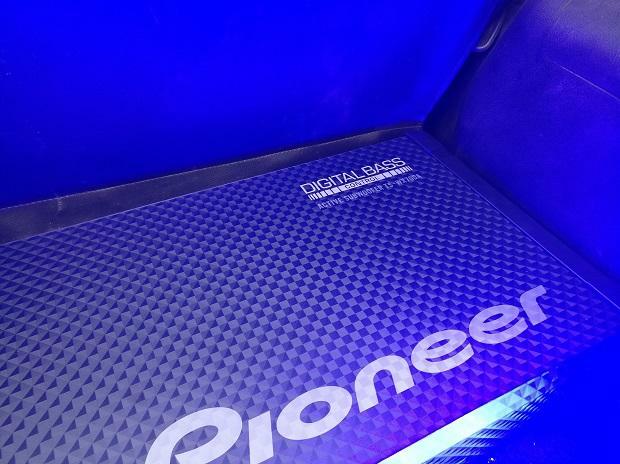 Pioneer, the Japanese company known for its car speakers and car infotainment systems, came up with a self-powered sub-woofer in CES 2017. While it took some time to reach Indian shores, we finally got our hands on one and took it for a spin to see how it performs in belting out some of our favourite numbers. The sub-woofer is a separate unit that sits in the boot of your car and works in tandem with the vehicle's inbuilt speaker, belting out precision bass and groove to songs like 'paperplanes' by Mia or 'Hey Now' by London Grammer. The lows and highs sound perfect at mid-range volumes but falter a bit at high ranges with the lyrics geting overpowered by a thumping bass and grunging treble. The mid-ranges work fine in the case of high-frequency songs but vanishe the moment you play a gig on youtube. So, a proper music app with good collection of your favourites is a must-have in case you want to enjoy the sub-woofer to the fullest. 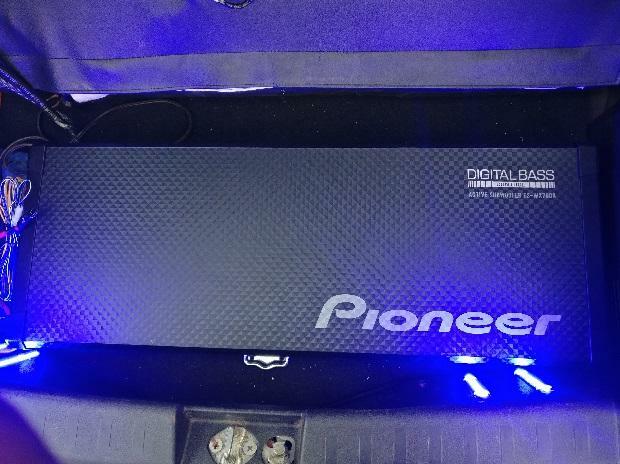 The woofer was easy to install and we were astonished to learn that the sub-woofer is self-powered and does not draw too much power from the car battery. Connectivity is also seemless and one can connect the gig without much hassle. However, a wired controller for the woofer that helps modulate different frequency and volume levels, and toggle between different bass modes, were a letdown. In the age of wireless, a wired remote goes absolutely against the sub-woofer from Pioneer. Two selectable listening modes, Deep and Dynamic, provide system optimisation to complement various musical styles. While Deep bass mode seemed good for jazz and classical genres, the Dynamic mode reinforces the upper bass frequencies and seemed perfect for EDM and hip-hop. 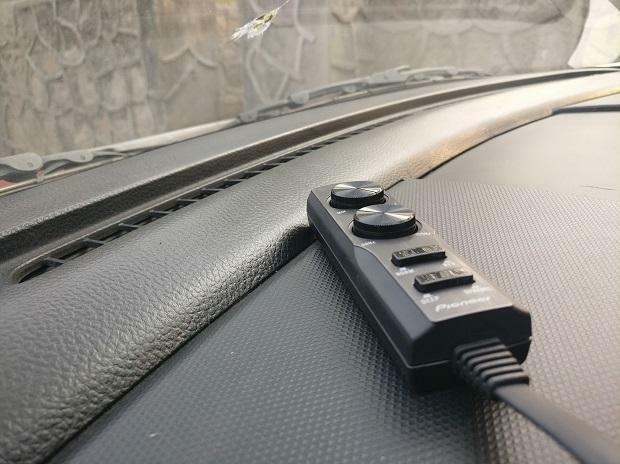 Although the speaker's output seemed perfect for a hatchback or SUV, where the boot space is not disconnected from the cabin, it remains to be seen if the woofer sounds as good when it comes to a sedan, where the boot space is disconnected from the cabin. While the TS-WX70DA takes up a good amount of boot space, the subwoofer is well built to withstand weights and one can load one's luggage and keep it on the woofer nonetheless. But large travel bags can supress the sound to some extent and your luggage may end up dancing to the beats of the song. The company says the sub-woofer is compatible with any car sound system available in the market, but it is recommended to have a gig from the same company in order to enjoy flawless sound output. Also, it is recommended to buy Pioneer TS-WX70DA from the company's offline partners as the firm doesn't provide warranty for online purchases. Priced at Rs 37,990, the sub-woofer is a valuable addition to a connoisseur's car infotainment system. However, a wireless remote and a bit more precision sound in the mid-ranges would have made it a steal-deal at this price point.